TWO DOM BOMBS helped the Phils blow up the Red Sox. Welcome to Earth, WAH 2.0-- the Phils lost 9-2. Dom Brown is literally killing baseballs, but Cole Hamels may never win again. How can he hold the ball up with his bare hand if he tug him with his glove?!?!?!?!? 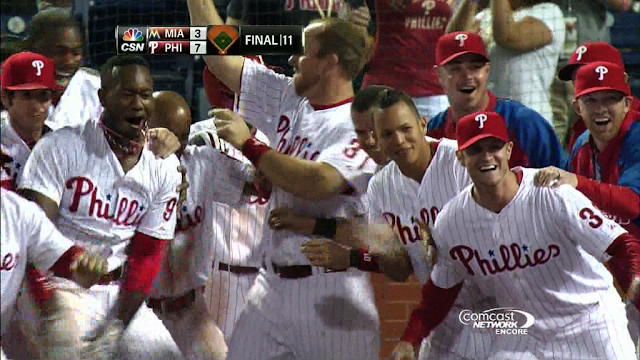 Dom Brown homered, because it's a day. The sheriff threw a complete game and Om-Day Own-Bray omered-Hay! Bob Davidson can't hold us down we got this mermaid in the shade baby.